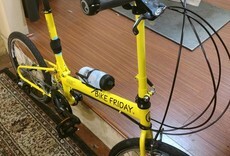 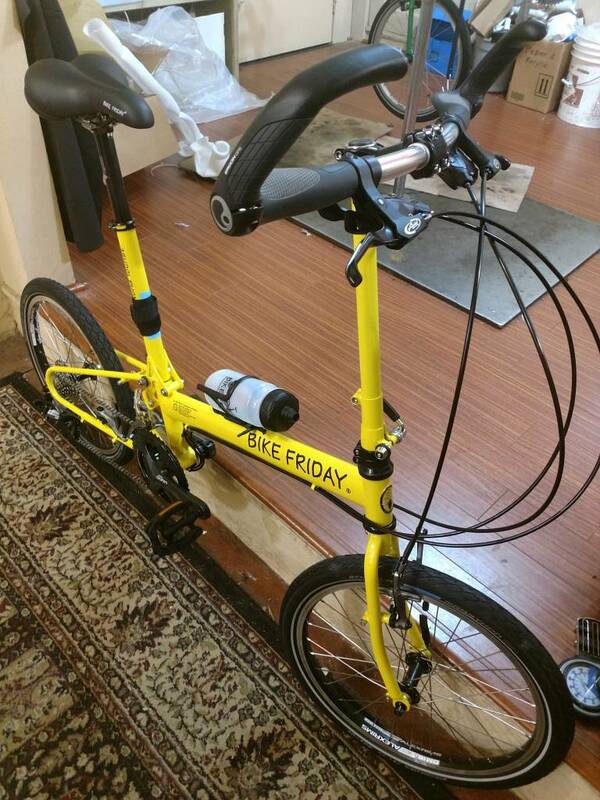 This is a brand-new build of Bike Friday's iconic New World Tourist touring bicycle. 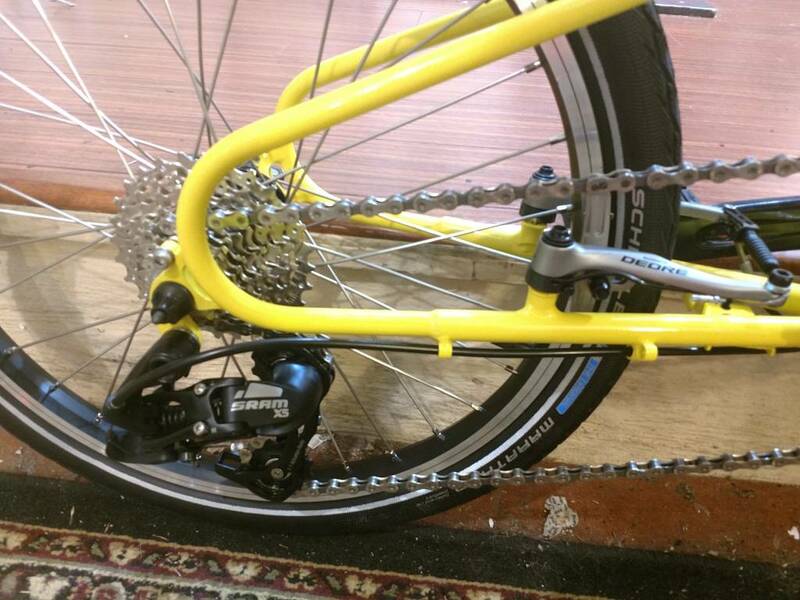 This yellow 56cm frame will fit the average size cyclist up to about 5'11". 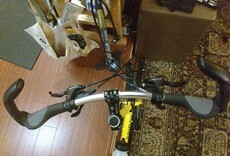 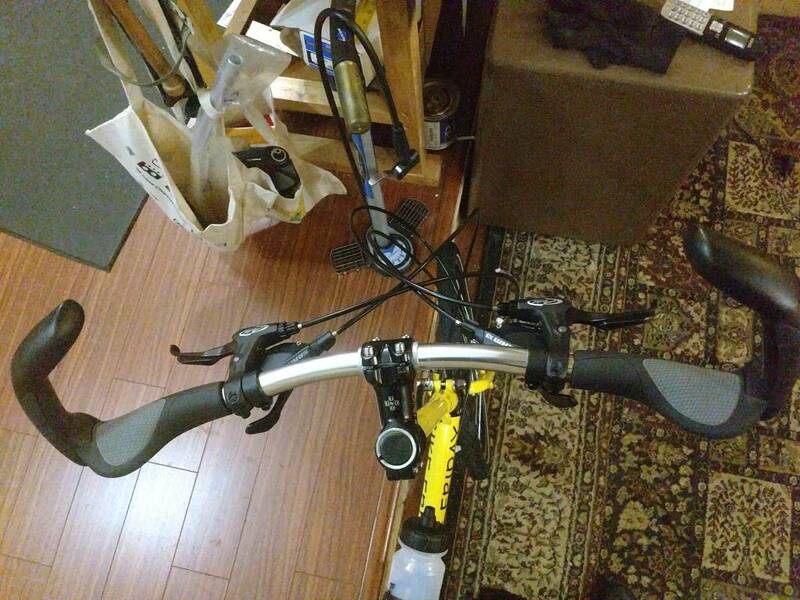 We configured this bike with 15° sweep bars and Ergon gp5 ergonomic grips for a comfortable ride. 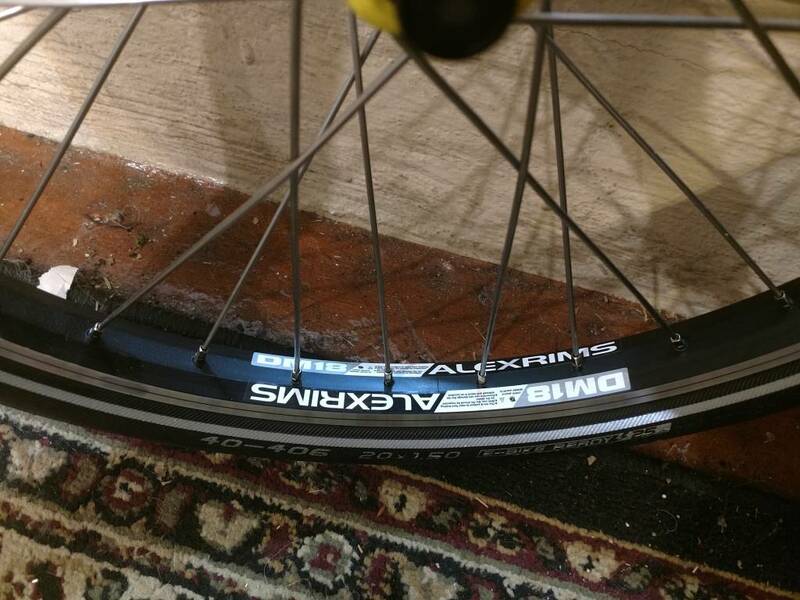 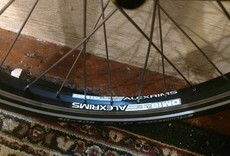 The high pressure Schwalbe Marathon tires on Alex rims provide a solid and durable wheel. 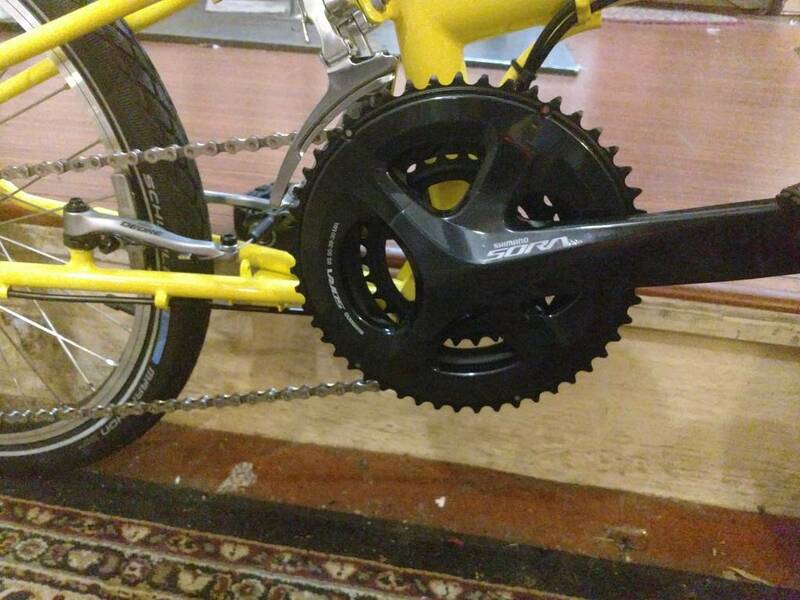 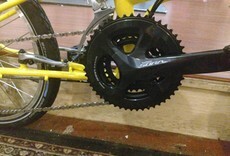 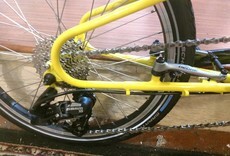 Shifting is by SRAM rear derailleur on a Shimano Sora crankset, 3x9 gearing. 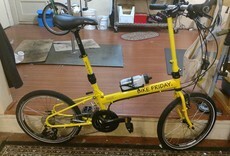 This is a quality folding bike that will provide years of exceptional touring service. 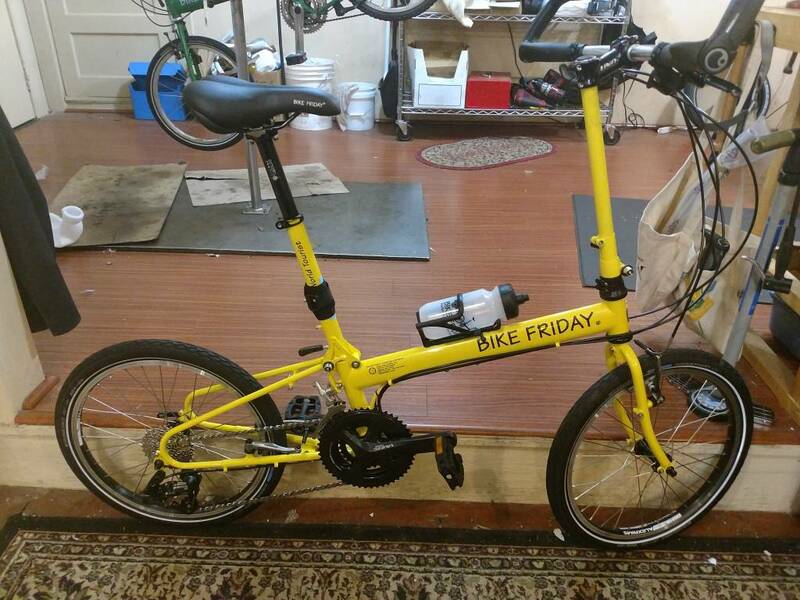 In store now and ready to ship. 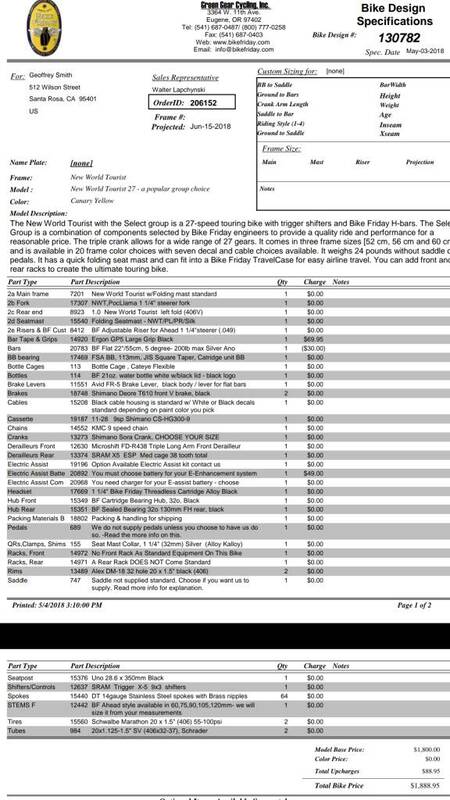 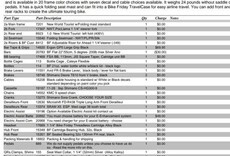 See the photo for full specifications document.